What caught his attention, and mine too, was that one could be transported to this most peculiar state of consciousness without actually having smoked the said chemical, at least not in the conventional ontological sense. This, he remarked, may be considered to be a very odd and perhaps even important concern for us multi-dimensional map makers. 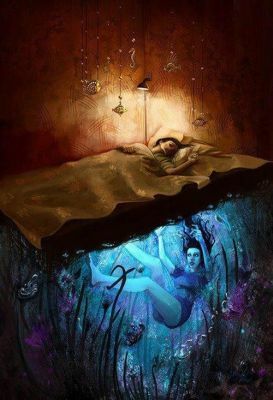 It is as if nature herself has left a trap door for us who are coherent enough in our dream life to be able to exploit it and get what I like to refer to as a free trip. I say free for two reasons. The first is that we literally get a free trip which, for those of you who have felt the need to make a pilgrimage to the Amazon jungle in order to partake in the consumption of DMT, will certainly offer some merit. But this is not so much my concern – I being of the less culturally bound persuasion as to where and how I access the entheogenic elixir. The free pass I am referring to is alluding to a more abstract concern for those of us who dare to take this often drastic voyage of the mind. 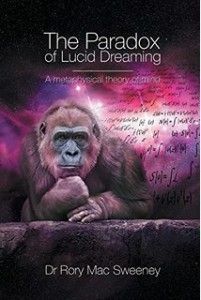 Please allow me to elaborate by telling you briefly of my own encounter of taking a trip while being in a lucid dream, so as to frame my point. This idea of narrative congruency is a very powerful tool as the dream will always offer simple little opportunities to spark a story. The key is to really buy into the story yourself and just keep in mind where it is you are trying to take it. Don’t be too forceful or frantic with your demands. Play with the script a little and see where it takes you. If the dream changes tack, don’t see this as a failure of your own agenda, maybe the dream has something else to show you instead. The method does work for certain.